Dr. Deepak Pental, lead researcher into the crop at Delhi University, has now conceded that the GM mustard in question has not even been tested against varieties of non-GM mustard for better yields. That seems very strange given that the main argument for introducing GM mustard is to increase productivity in order to reduce edible oils imports (a bogus argument anyhow). Consider too that the drive to get India's first GM food crop into the field and on the market also goes against the recommendations of four high-level reports that have advised against the adoption of these crops in India: The Jairam Ramesh Report of February 2010, imposing an indefinite moratorium on Bt Brinjal; The Sopory Committee Report (August 2012); The Parliamentary Standing Committee (PSC) Report on GM crops (August 2012); and The Technical Expert Committee (TEC) Final Report (June-July 2013). These reports conclude that GM crops are unsuitable for India and that existing biosafety and regulatory procedures are inadequate. These official reports attest to just how negligent and unconcerned India's regulators are. According to lawyer Prashant Bhushan, these official reports attest to just how negligent and unconcerned India's regulators are with regard to the risks of GMO contamination. They also attest to a serious lack of expertise on GM issues within official circles. It now clear that placing GM crops on the commercial market in the first place (in the U.S.) was based on the subversion or bypassing of science and that their introduction poses a risk to food security, human health and animal, plants and soil as well as the environment in general. However, the real significance of GM mustard lies in the fact it could be India's first GM food crop. In this sense, it should be regarded as a pioneering crop that would open the doors to a range of other GM food crops that are currently in the pipeline for testing. 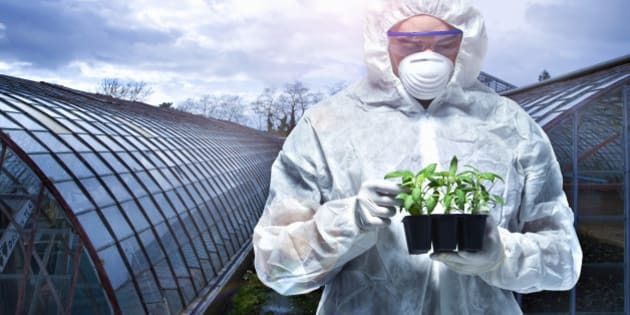 GM provides a handful of companies with an ideal tool for securing intellectual property rights over seeds (and chemical inputs) and thus gaining corporate control over farming and agriculture. Despite the GMO industry saying that GM should be but one method within a mix, evidence indicates that this is impractical due to cross-contamination and that corporations (or their mouthpieces) are seeking to denigrate/replace existing food production practices in order to secure greater control over global agriculture. The issue of GM mustard is central to a development paradigm that wants to see a fully urbanised India with a fraction of people left in agriculture. U.S. companies and Washington, via the Knowledge Initiative on Agriculture, are driving the agenda. Does India want to mirror what is effectively a disastrous U.S. model of agriculture? An unsustainable taxpayer-subsidised sector that has produced a range of social, environmental and health costs outlined in that last link. We must therefore ask: does India want denutrified food, increasingly monolithic diets, the massive use of agrochemicals, food contaminated by hormones, steroids, antibiotics and a range of chemical additives, spiralling rates of ill health, degraded soil, contaminated and depleted water supplies and a cartel of seed, chemical and food processing companies that seek to secure control over the global food production and supply chain to provide people with low-grade but highly profitable food products? "The emerging mega-cities will rely increasingly on industrial-scale agricultural and supermarket chains, crowding out local food chains." In India, the push to drive at least 400 million from the land and into cities is already underway at the behest of the World Bank, which under the guise of "enabling the business of agriculture" is committed to opening up economies to corporate seeds and agrochemicals and securing global supply chains for transnational agribusiness from field to plate. The drive is to entrench industrial farming, commercialise the countryside and to replace small-scale farming, which is the backbone of food production in India (and globally) and which is more productive than industrialised agriculture, more sustainable and capable of producing more diverse, nutrient-dense diets. Contrast this with what Green Revolution technologies and ideology has already done to India, including the degradation of its water, its soils and its people's health. Contrast it with an industrial farming that would bring with it all the problems outlined above and destroy hundreds of millions of livelihoods with little guarantee of work for those whose productive system is to be displaced by that which is to be imposed by the likes of Cargill, Monsanto/Bayer and other corporate entities that fuel industrial agriculture. Dr. Pental's GM mustard has roots that trace its origins back to Bayer. Mr Modi, Arvind Subramanian (Chief Economic Advisor to the Indian government) and former governor of the Reserve Bank of India Raghuram Rajan have roots that can be traced back to Washington. There is an agenda for India that regards the peasantry, small farms and India's rural-based traditions and village-level systems of food production/processing as backward, as an impediment to "progress." It regards alternative approaches to agriculture that have been advocated by numerous high-level reports as a hindrance: approaches that would and develop the current rural infrastructure and not eradicate it.